Traditional Point Grey home with Cross Hall plan, Oak hardwood floors and bright updated kitchen with skylight & sliding glass doors to large sundeck. Den on the main floor and open stair to 4 bdrms and generous bath with jetted tub and separate shower. Rec room, laundry/mudroom as well as a self contained 1 bdrm accommodation. 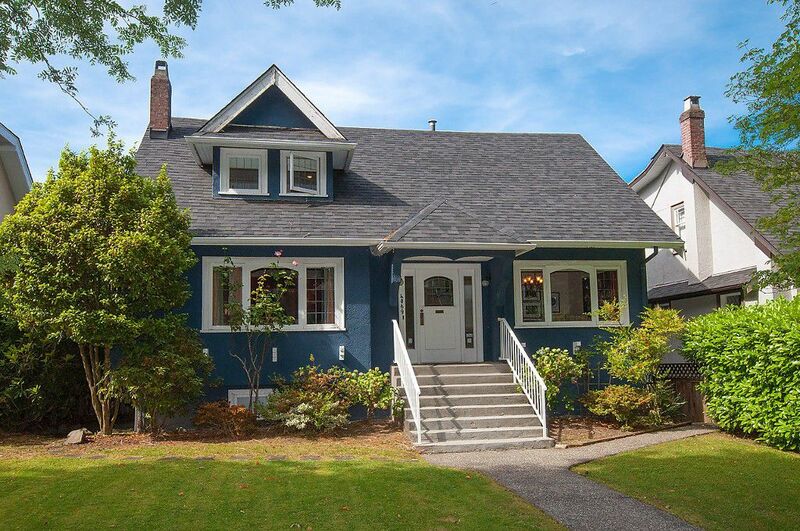 A solid well cared for family home on PRIME Street in central Point Grey. 2 car garage and PRIVATE & QUIET setting. Walk to Lord Byng ,Jules Quesnel French Immersion as well as Queen Elizabeth Elementary schools. Easy access to UBC and Pacific Spirit Park.